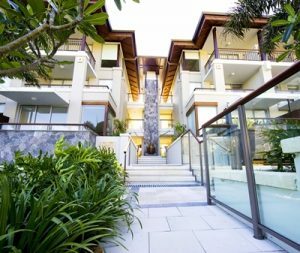 Leading accommodation provider Oaks Hotels & Resorts, a division of Minor Hotels, is continuing to strengthen its foothold in Australia, announcing its debut on New South Wales’ far north coast after securing the hotel management rights of the popular Santai Retreat. Rebranding from today as Oaks Santai Resort Casuarina, the private, boutique-style property is located in the charming seaside village of Casuarina on the Tweed Coast, just 20 minutes from the Gold Coast Airport and in easy reach of the coastal hamlet of Kingscliff. Chief Operating Officer of Minor Hotels – Australia and New Zealand – Mr Craig Hooley, commented on Oaks’ latest acquisition: “We are delighted to expand our leisure portfolio with the acquisition of Oaks Santai Resort Casuarina, brokered by Alex Cook from Resort Brokers Australia. Renowned for its gentle pace, the Tweed Coast is a holiday hot spot that appeals to both leisure and adventure seekers, home to world-class surf and reef breaks, world-heritage-listed rainforest, Mt Warning, the marine-playground of Cook Island, and a thriving paddock-to-plate scene that attracts foodies from all over. ‘Santai’ – meaning ‘relaxed’ in Indonesian’ – is a laidback, Balinese style oasis that is perched in the heart of this beachside resort town. Its enviable locale is just a stone’s throw to the uncrowded Casuarina Beach, which forms part of a stretch of pristine coastline. Set amongst lush, tropical surrounds, Oaks Santai Resort Casuarina sets the scene for a memorable escape from the moment guests step through the carved double doors. Centred around a palm-fringed swimming pool, the sanctuary-like Resort is home to 100 self-contained guest suites in a range of studio, one- and two-bedroom configurations, ideal for romantic getaways, family holidays and special occasions with friends. The apartment-style rooms exude an authentic Balinese elegance and feature king beds, ensuites with generously sized spa baths, sizeable living and dining areas, well-equipped kitchenettes and private balconies overlooking the sparkling lagoon pool. Guests can also immerse themselves in a range of onsite wellness, relaxation and dining experiences. The private guest lounge – overlooking the sparkling pool and gardens – is the perfect spot to curl up with a book from the common library, catch some sun or enjoy a morning coffee. The highly acclaimed onsite restaurant Spice Den will take foodies on a culinary adventure through Thailand, featuring Asian-inspired fare that can be enjoyed in a traditional banquet style, as well as an outstanding cocktail and wine list. Guests are also welcome to indulge in a touch of R&R at The Wellness Spa at Santai, offering a range of luxurious and holistic spa treatments covering its four signature pillars of ritual, body, massage and facial in a tranquil setting. And for those stepping out, Kingscliff’s nearby strip of cafes, eateries, surf clubs, pubs and boutiques are easily accessible on two wheels via the oceanfront bike path. The Commons Casuarina – home to popular breakfast, brunch and coffee spots, plus a grocery store – is just a four-minute walk from the Resort. Oaks Santai Resort Casuarina also presents as an idyllic wedding destination, with two stunning locations – the Garden Pavilion and Lanai Pavilion – overlooking the lush pool and gardens and catering to both intimate and large-scale events. The property is also well-suited to events, meetings and conferences, home to a fully-equipped meeting room and outdoor break-out spaces that can host up to 60delegates. 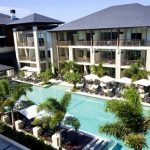 To celebrate its debut on the NSW Far North Coast, Oaks Santai Resort Casuarina is offering an ‘Opening Special’ for travellers, starting from $142 per night*. Use promo code MYOAKS to unlock the Opening Special rates.